First Six WWE2K16 Wrestlers Revealed! With Official Cover Art! WWE fans around the world are always excited about roster releases for the new wwe2k games and we now have the first offical six! Today Only Take 30% Off T-Shirts at WWEShop.com – Enter Code TSHIRT30 at Checkout – Sale Ends 2:59am EST 6/16! WWE Money in the Bank Commemorative Briefcases are Back In Stock! Related News: WWE Launches Offical Gaming Channel! New York – June 16, 2015 – 2K today announced the first six roster members inWWE 2K16, the forthcoming release in the flagship WWE video game franchise. Poised to offer the largest playable roster in WWE games history, WWE 2K16 will include a variety of talent, including WWE Superstars Seth Rollins™, Daniel Bryan®, Dean Ambrose™ and Bad News Barrett™, WWE Diva Paige™ and NXT® Superstar Finn Bálor™. Artwork depicting the roster members is currently on display from June 16-18, 2015 in 2K’s booth, #1001 in the South Hall, at the Electronic Entertainment Expo (E3) in Los Angeles. 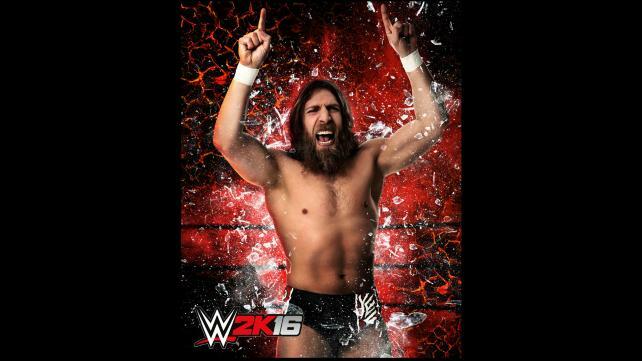 Additional announcements for WWE 2K16 are expected within the coming weeks. Developed collaboratively by Yuke’s and Visual Concepts, a 2K studio, WWE 2K16 is not yet rated by the ESRB and in development for the PlayStation®4 and PlayStation®3 computer entertainment systems, Xbox One, the all-in-one games and entertainment system and Xbox 360 games and entertainment system from Microsoft. WWE 2K16 is currently scheduled for release on October 27, 2015 in North America and October 30, 2015 internationally. For more information on WWE 2K16, visit wwe.2k.com, become a fan on Facebook, follow the game on Twitter and Instagram or subscribe to WWE 2K on YouTube. ← Money in the Bank was Unpredictable.